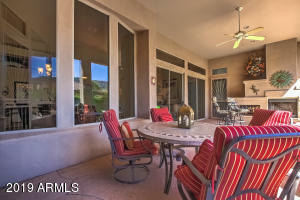 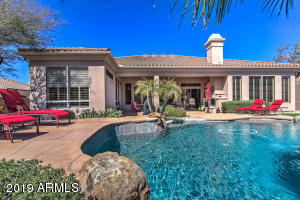 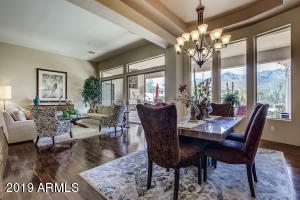 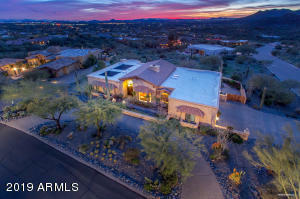 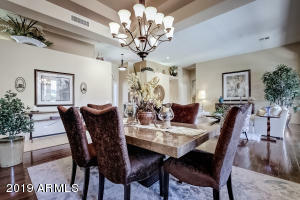 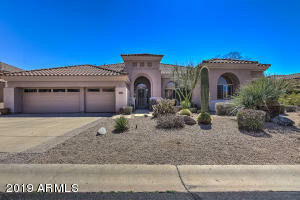 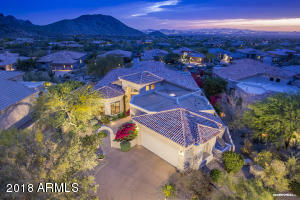 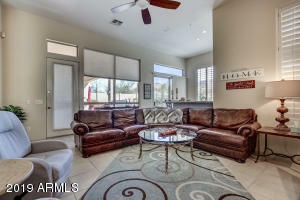 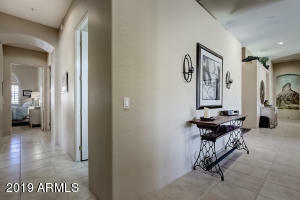 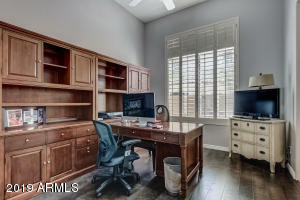 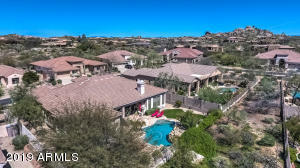 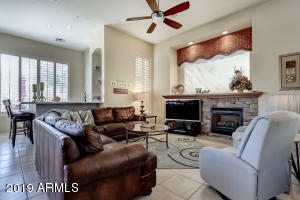 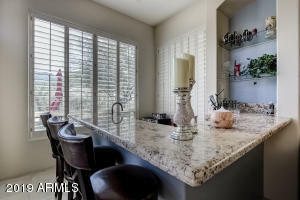 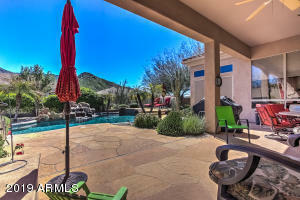 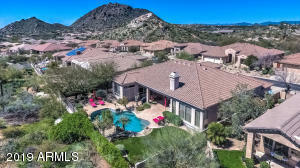 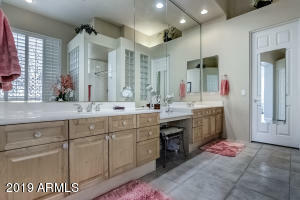 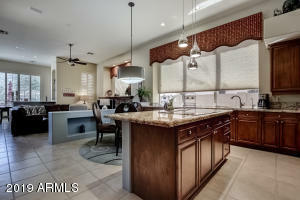 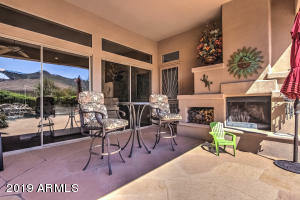 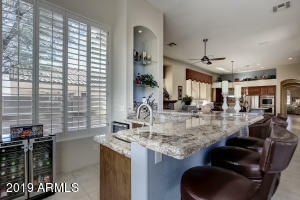 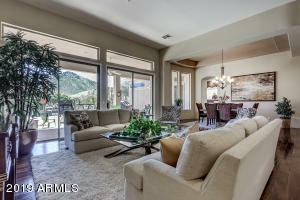 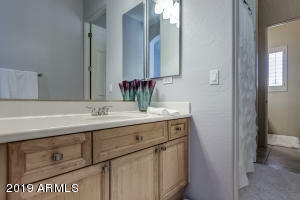 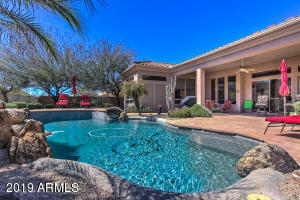 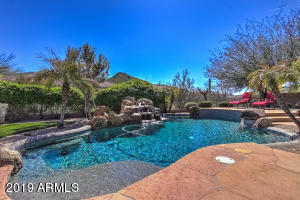 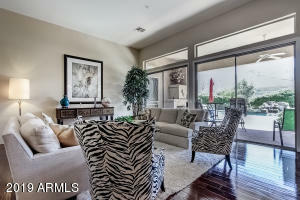 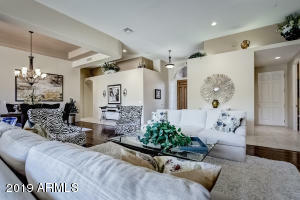 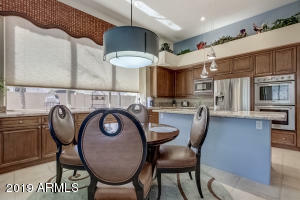 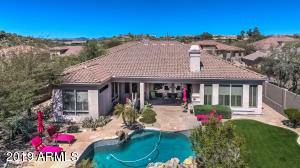 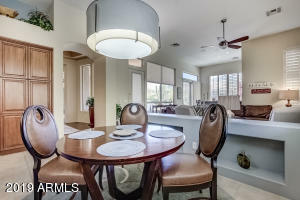 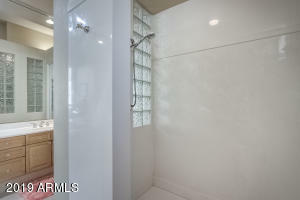 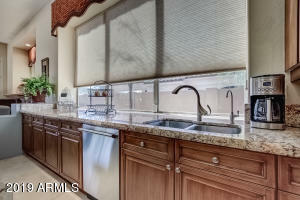 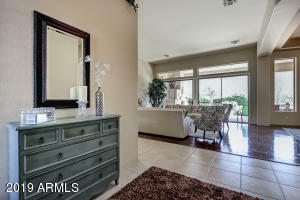 Extremely well cared for home in Saguaro Canyon at Troon with resort like back yard & incredible McDowell Mountain views! 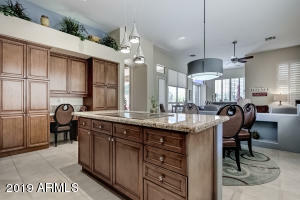 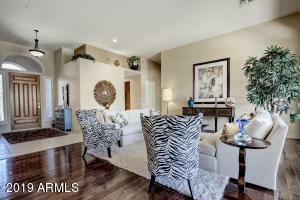 Sought after split floor plan with zero interior steps & three car garage with epoxy flooring. 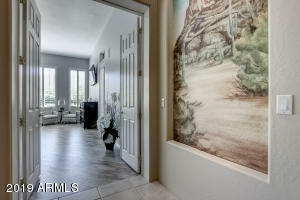 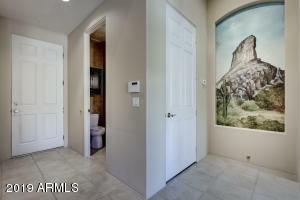 Private master retreat on one side & 3 additional guest bedrooms on the other. 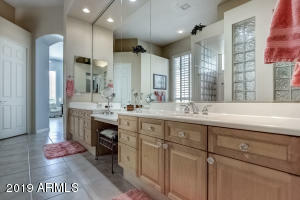 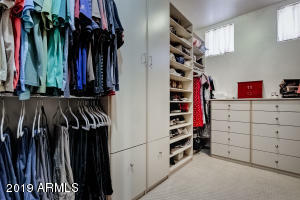 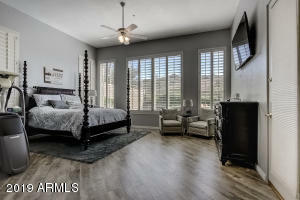 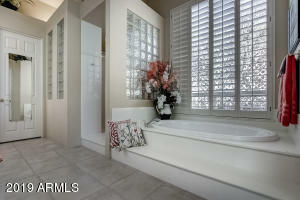 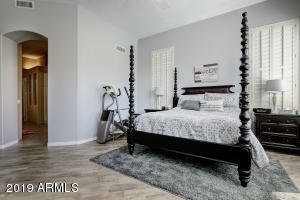 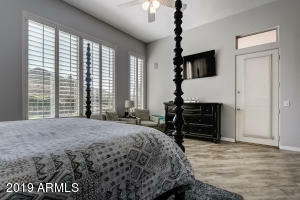 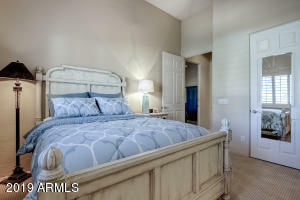 Large master bedroom offers incredible McDowell Mountain views, custom hardwood flooring, & large master bath with double vanities, soak-in tub, & walk-in shower. 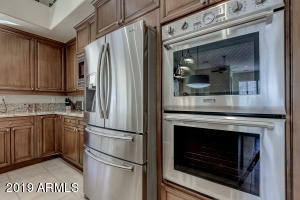 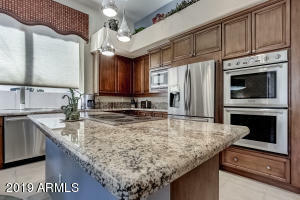 Gourmet Chef's kitchen offers a large kitchen island with built-in induction cooktop & S/S Thermador appliances. 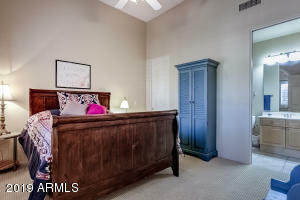 Expanded family room has a large wet-bar with room for seating, & stacked stone fireplace. 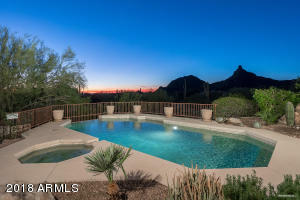 Resort like back yard offers a Pebble-Tec swimming pool, landscape lighting, custom rock water feature, & wood burning fireplace. 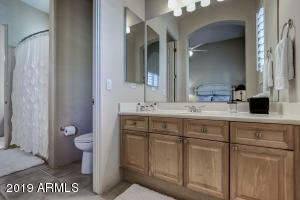 East on Happy Valley Road, Right on Alameda Road, Left on 119th Way, Left on Parkview Lane, Home on Left.